I finally caught Happy’s dust bath in pictures! Usually, when I see him in action – I don’t have time to grab the camera. 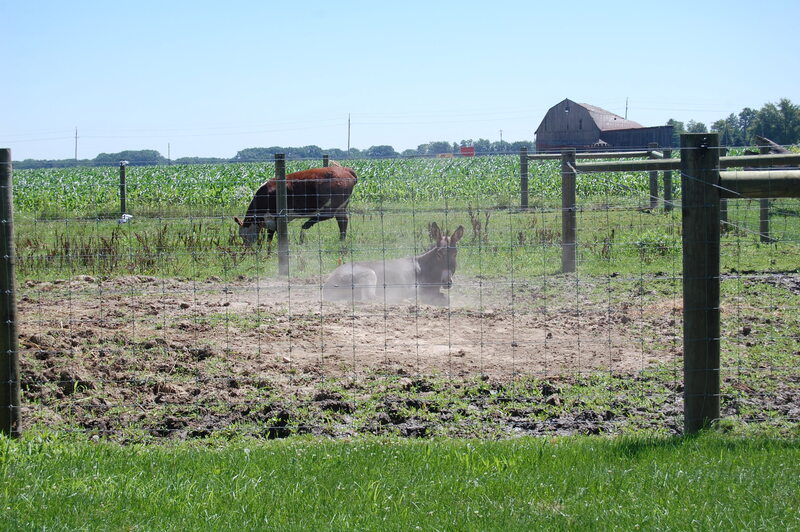 I believe donkeys take dust baths 1) as a way to clean themselves and 2) to help keep flies off of them. 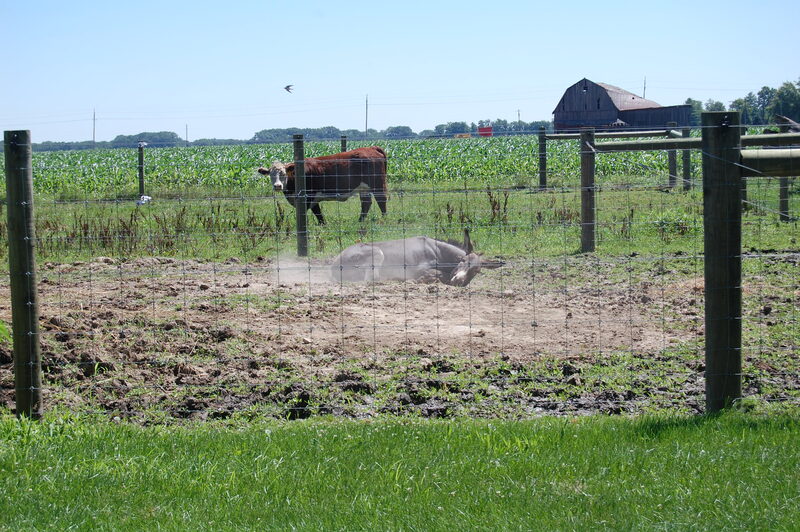 Step 1 – find a nice spot of dry soil. Step 2 – Kick up your heels and let the joy begin!! Step 3 – Now, use your tail as a feather duster to create a nice cloud of dust. Step 4 – Gracefully (?) return to guard duties as a refreshed donkey. I wish I enjoyed dusting that much!! 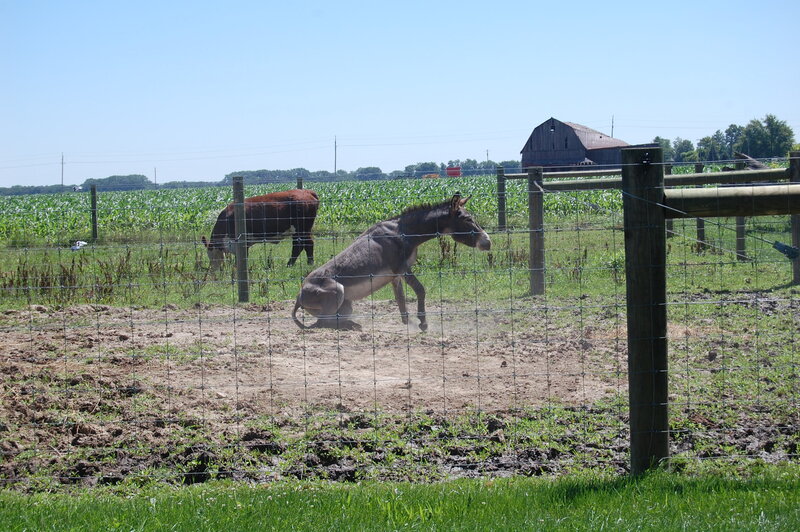 This entry was posted in Country Living and tagged country living, Donkey Dust Bath, Happy the donkey. Bookmark the permalink. 8 Responses to How do you dust a donkey? 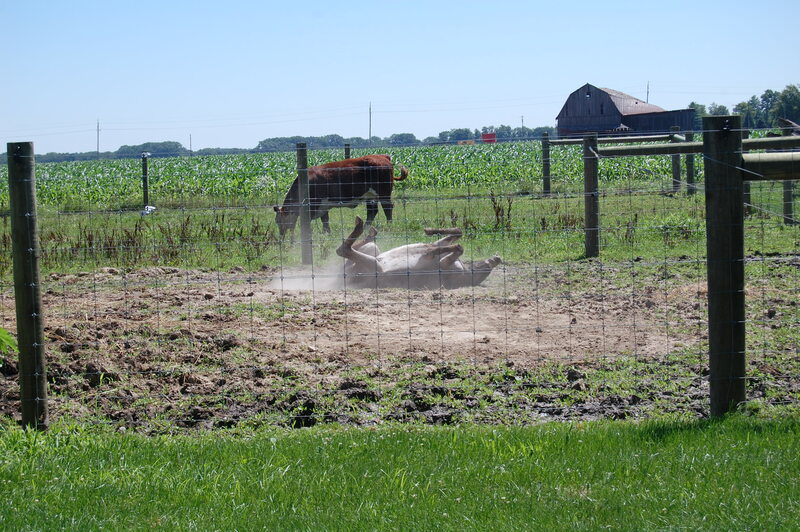 Our herd likes to run around a bit, get sweaty, then roll in the dirt. The sweat helps the dirt stick for better fly control. Today they are just standing around catching the breezes from the bottoms. How many do you have? They have such great personalities!! At least the two I have had. This type of dusting would be much more fun! I need to ask a stupid question here. Why do you have a donkey? What do they do around the farm? Enjoyed this post. Not stupid at all. Mainly … he’s a pet. But, they are also guard animals and will protect “their” herds. They hate coyotes, dogs, etc – so that is why they are guard animals. Okey doke, thanks. Learn something new every day. I love it – learning something new every day!